The Queen of Soul performed in Las Vegas many times. 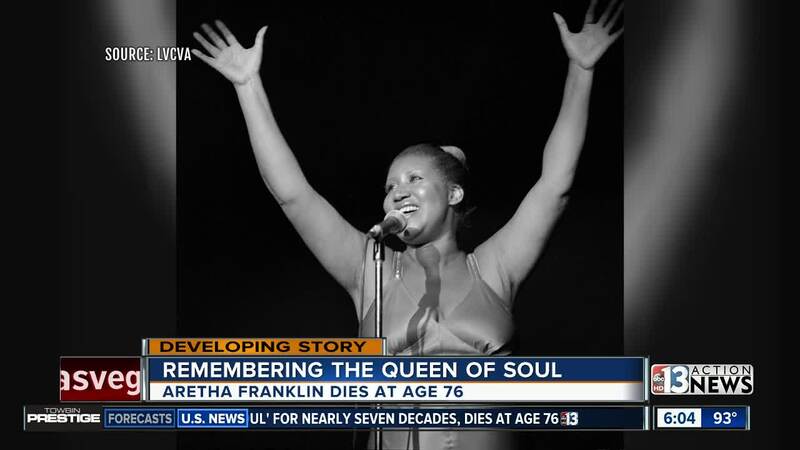 Aretha Franklin died in Detroit at the age of 76. 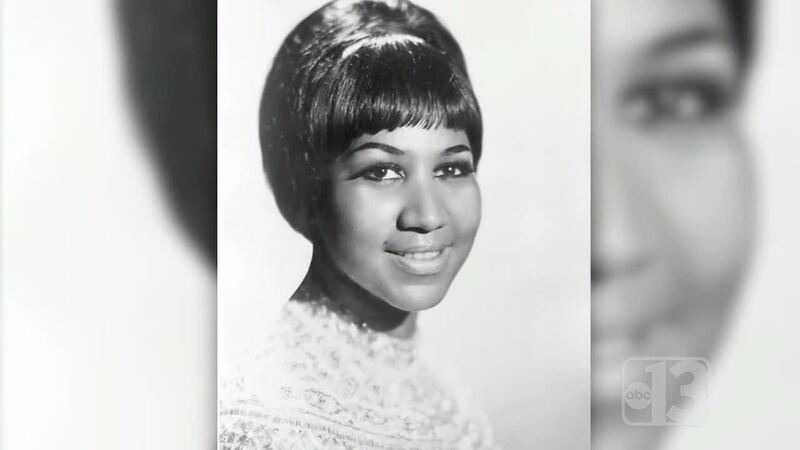 As news spread that "The Queen of Soul" Aretha Franklin had passed away at the age of 76, people in Las Vegas began sharing their memories. 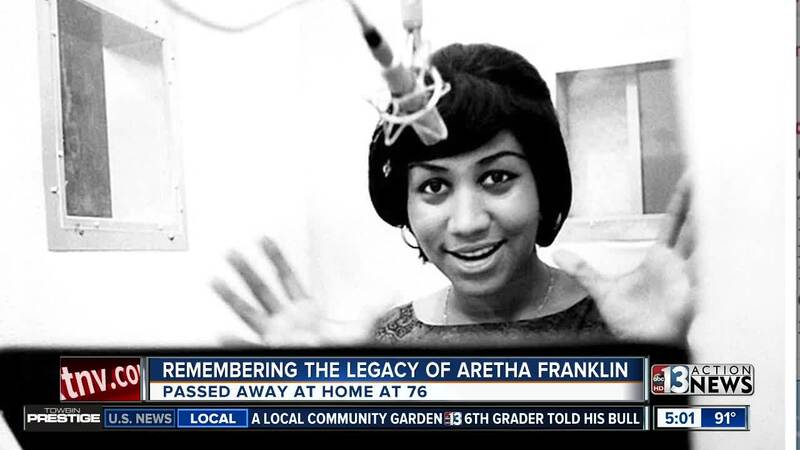 At KCEP 88.1 FM (Power 88), radio host Mark Mellow-D dedicated the airwaves to taking requests for people's favorite Aretha songs. "I woke up today and I was in tears," Mellow-D says. He says he grew up listening to Aretha Franklin's music and calls her his favorite female artist of all-time. Meanwhile, the Las Vegas Convention and Visitors Authority shared photos of Franklin performing at The Aladdin in the 1970s. And Vegas-based comedian George Wallace also shared his memories of Franklin going to one of his shows at the Flamingo. "She was a funny lady," he says, remembering the Queen of Soul also had a great sense of humor. He says once she even turned the tables on him. While he was making a "your mama" joke as part of his routine, Franklin yelled out from the audience "that's my son you're talking about," making everyone burst into laughter. Former Motown Records employee Robert Gordy Jr., and son of founder Barry Gordy, said Franklin was like family. "You can see from all of her performance, she gave everything she had," Gordy said from his Las Vegas residence. And at Las Vegas' Black Image Magazine, Aretha Franklin will be gracing the cover of their next issue. 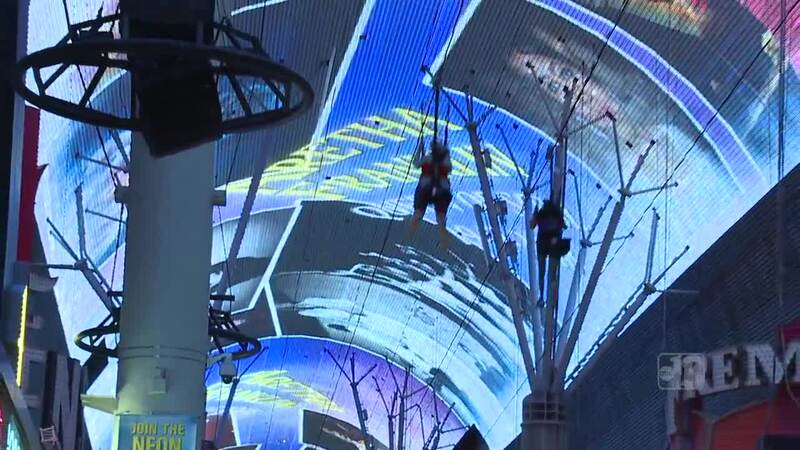 The Fremont Street Experience also did memorial light show on their canopy Thursday night.